It’s hard to believe another year has came and went! As 2016 comes to a close, it’s time to look back at all of the happenings in Dramaland this past year. 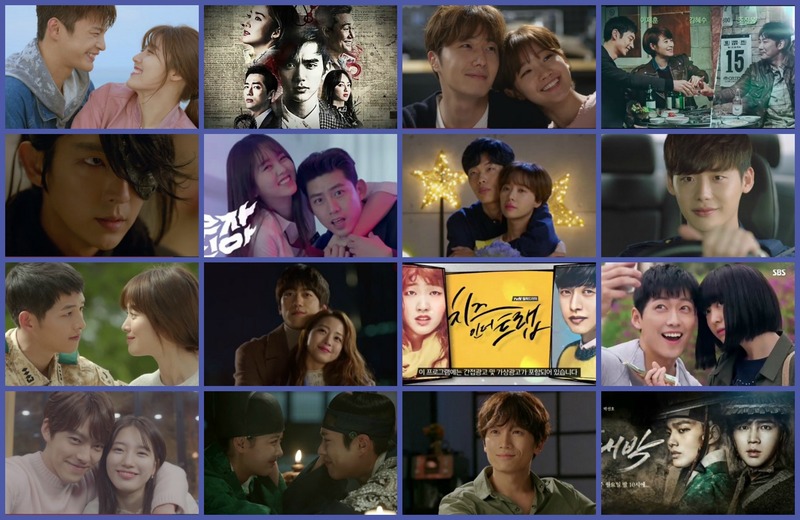 This has been an absolutely amazing year for dramas with so many wonderful memories. I’ve continued to thoroughly enjoy blogging about my love for kdramas. I’ve also made more new friends from all across the world who share in that same passion. It’s good to be a kdrama fan! Now on to the list! This list includes all of the dramas that I watched which aired and concluded their runs in 2016. We’re going to be counting down my favorite dramas from least to most favorite. But I have a lot of love for my dramas this year, so even if you see a drama pretty low on the list, know that I enjoyed most of these dramas immensely. Full reviews are also available for all of them. This is completely my opinion on these dramas, and it does not reflect Korean or international ratings or the popularity of any particular drama among fans. And I watched a ridiculous amount of dramas this year! 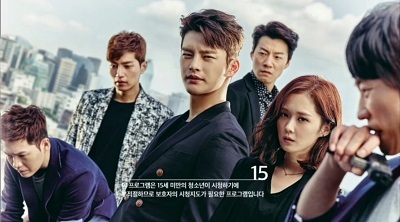 Stay tuned for the grand total when combined with other dramas at the end of the article. So let’s get to it! Vampire Detective is the only complete dud for the year. It is the drama I want to forget, but it will live on in my memory as the worst drama I have ever completed. The one thing it had going for it was the good actors, but they along with all potential were completely wasted. The writing was terrible with a massive lack of development of the back story coupled with un-engaging cases. The audience was left out of much of the story in a way that still leaves me in disbelief. There was also not a lot of vampire in Vampire Detective. The fact that our leading man is a vampire is practically ignored for the bulk of the drama with everyone going on as usual. So yeah, nothing good really came from this one for me. The Man Living in Our House ended up being a big disappointment for me. After a wonderful first few episodes with a unique story, interesting characters, and fun, quirky humor, the drama just became incredibly draggy. I lost my connection with the characters and everything felt dragged out and pointless. It just seemed to take its sweet time crawling from one event to another. So in the end, the drama became extremely boring. It lost its way early on and seemed to want to do to much while always focusing on the wrong things. While a lot of the things I enjoyed in the beginning were still there in a muted form, they just got buried in the monotony. Considering how wonderfully the drama started out, The Man Living in Our House was such a disappointment. The K2 was an okay watch, but it had a number of issues for me. It excelled when it came to delivering intense action scenes, but the rest of the drama struggled to live up to them. 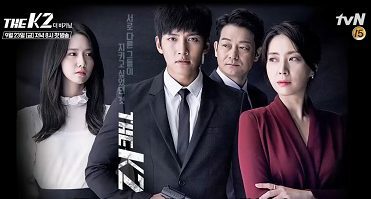 The K2 started strong with a solid set up during the first third, but then it didn’t really seem to have that much story to tell. But Ji Chang Wook and Song Yoon Ah both gave memorable performances despite some of their impact being lost due to a lack of connection with the characters as a whole. While not quite up to my tastes, it was an okay watch, and I do happen to really like Ji Chang Wook, so that was enough to make the drama worthwhile. I really enjoyed this comedy web drama. It’s an over-the-top style that I found hilarious. We have a cute couple that bickers a lot, and things move very quickly. Since there is no time for a lot of filler, you kind of just have to go with the developments between the two. But they definitely have their sweet moments. Because of the lack of emotional development, things felts a bit hollow. I also would have preferred more focus on the couple together rather than on the entertainment company. But High End Crush was an easy, pleasant watch. It had a few issues, but was humorous, and I enjoyed it. Imaginary Cat was a bit slow, but luckily it was only eight half-hour episodes. I was glad to see Yoo Seung Ho back in dramaland, and he and the cat were both priceless. They made the drama enjoyable enough. The people in this drama seriously love cats. It sometimes felt like a mini-melodrama, but a big credit goes to the actors for giving their all and making these scenes so genuine. All in all, it was a cute drama. The main strength of 1% of Anything was our main couple of Ha Suk Jin and Jeon So Min. They are entertaining when bickering, adorably awkward, and pretty swoon worthy. I found the rest of the drama elements a bit lacking though. The supporting characters felt flat and weren’t that well developed. And the main conflict that keeps our couple from being together seemed so silly that it really made it difficult to take seriously. But overall, it is a pretty quick and easy watch. 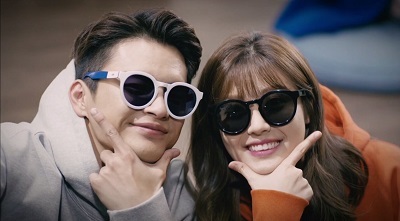 The main couple were so fun and charming that even though the elements surrounding them were lacking for me, they made the drama a worthwhile watch. Wanted was a decent watch. The pacing of the drama was pretty great during the first half of the drama with some nice cliff hangers thrown in. But there’s a point just after midway through where things seemed to slow down. It was also a bit lacking in really developing the characters and making them empathetic. 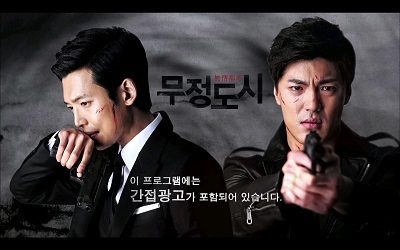 But it had a good over-arching story with the kidnapping of Hyun Woo. Then the smaller mission cases nicely tied in with that. The ending brings everything together pretty well while going very in depth with the kidnapper’s motives and taking a hard look at the morality of our choices. It wasn’t exceptional, but it was well executed and interesting. 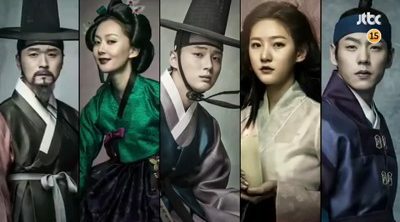 Mirror of the Witch is a like a dark fairy tale that I found to be different from many other kdramas I have seen. It sets up a very interesting and solid mythology that runs throughout the entire drama, and I really enjoyed the many fantasy elements. The main negative I had was that it felt pretty slow overall and got quite draggy in the latter third. Many times it just lacked an intensity that I felt should be there. But Yoon Shi Yoon and Kim Sae Ron nailed their roles and both gave moving performances. Their love story was sweet and beautiful like a fairy tale. Jang Hyuk was phenomenal in the role of Young Oh and really brought to life such a complex character. But he wasn’t the only who gave a moving performance. The entire cast was amazing and really delivered intense and heartfelt performances. While there were definitely some issues with the drama, overall Beautiful Mind had so much going for it. It really made me think and also inspired me. I found Goodbye Mr. Black to be pretty enjoyable. I like a good revenge melodrama, and it definitely fits that description. But the drama is not without it’s problems. The writing is pretty messy all the way through, and the editing isn’t very smooth either. A lot of obstacles are thrown in our character’s path as well as plenty of unbelievable scenarios with things just ‘conveniently’ happening. But here’s the thing about Goodbye Mr. Black, it is filled with flaws, it’s not unique, it’s not that well executed, and it’s predictable. But even with all of that, I liked it quite a bit. I found the pace to be good with one set of events always leading into the next. I enjoyed the characters and liked the main couple of Black and Swan pretty well. Come Back Ahjussi has a very interesting and unique story that was pretty well executed. Each of our guys had a heartwarming story involving the people they loved and needed to help when coming back to earth. I found the first half of the drama a bit slow, and it just didn’t move like I had hoped it would. But things definitely improved in the second half though, and I was much more engaged. Overall, the comedy is great, the actors are wonderful, and the story is interesting. There are many positives to the drama which gave me a good amount of enjoyment from it. I ended up being pleased with the overall direction it went. Dramaworld is a 10 episode short drama that was fun and provided some really good laughs. Yes, the drama is cheesy, but it works for the story. A lot of the acting is a bit rough too. But in many ways, it also just kind of worked. If you want something light and fun that’s on the cheesy side, you enjoy parodies, or if you’ve ever dreamed of getting to be part of a kdrama, then I would definitely recommend Dramaworld. 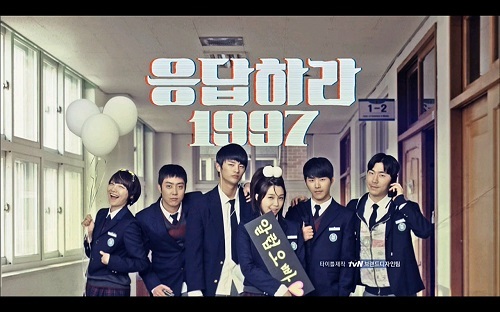 I really liked Reply 1988 as a whole. Since its primary focus was simply on relationships without a grander plot running in the background, I did find it a bit a draggy here and there, especially with the long episode length though. I actually prefer dramas with crazy plots and fantastical characters. And there really isn’t any of that in Reply 1988. Oh Hae Young Again was a bit unusual for me in that I was all over the place in my feelings for it. I was never in love with either of the main characters and many times I was actually really annoyed by them. But the main thing Oh Hae Young Again has going for it is a unique story. I haven’t really seen anything quite like it, so that is a plus. This 3 episode drama special was such a joy, and how I wish it would have been a full length drama. But I’m thrilled with what we got. Kim So Hyun and Ji Soo were all kinds of adorable together. They are both talented actors, and their skills were on display. 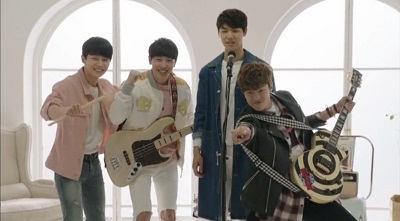 I also really enjoyed the dynamic that Shin Jae Ha added to the mix. Page Turner was inspirational and heartwarming with characters that make you root for them. All in all, it was great little drama. Oh My Venus was a fun watch, but it did seem to be lacking that special something that makes a drama amazing. The drama was well executed, but nothing revolutionary. I enjoyed our main couple with Joo Eun being a strong and confident woman despite what the world may tell her, and Young Ho being a straight-forward and no nonsense kind of guy when it came to their relationship. The acting is great all around with lots of couple moments and a fun bromance. Characters are presented in a real sort of way that makes them relatable. So despite its flaws, it was a very pleasant drama. Drinking Solo was a very fun drama that was an easy watch. It’s like a quirky slice of life drama. We get a look into a tutoring academy as we watch the joys and struggles of the teachers and students. But this little world is populated by some very unique and off-the-wall characters that provide lots of laughs and entertainment. The show has plenty of heart to go with the comedy. Along the way, you become invested in all of the characters and their lives and struggles. When difficult things happened to them, the drama nicely balanced the humor with the seriousness. I’m not a huge fan of slice of life dramas, but when you make them this fun with such well-crafted characters, how can I not like it? All in all, Drinking Solo gave me some nice laughs and created a fun little world that I enjoyed spending some quality time in. One More Happy Ending was a fun little ride. The first half of the drama has our characters finding themselves in all sorts of crazy situations. So much to laugh about! Jung Kyung Ho and Jang Na Ra were about as cute as you can get. The drama had a nice mixture of fun and serious. It also had a certain quirkiness that I found very appealing. It portrayed a wonderful friendship between our four girls, and I enjoyed the variety of relationship issues it explored with each of them. One More Happy Ending was a great drama all around. 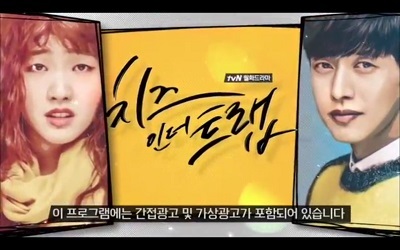 Cheese in the Trap was a great watch that provided a world populated by a variety of unique characters. It was interesting that the characters have a realness in the way they react to each other and to situations around them, but some of the scenarios were pretty crazy. Cheese in the Trap highlights why I generally try to avoid behind the scenes issues when watching a drama. I want to enjoy the story for what it is whether good or bad. While the story could have been executed a bit better, it was fun and quirky with a dose of melodrama. It’s world was filled with interesting characters, and it explored some complicated themes. Overall, I really enjoyed Cheese in the Trap. 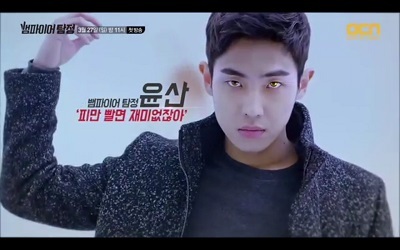 Moorim School had an interesting fantasy premise that included the use of some magic. It has its own little mystery to unveil as our students have to grow and mature. 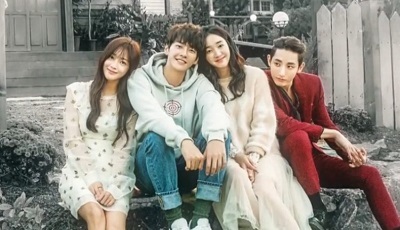 Add in a wonderful bromance between Lee Hyun Woo and Hong Bin as well as a sweet romance with Lee Hyun Woo and Seo Ye Ji, and it made for a nice drama. Moorim School definitely has plenty of flaws, but this is one of those dramas that just clicked with me. The story is a bit cheesy, but also refreshing and different. The acting is decent, but not the best. And I loved the school setting along with the fantasy premise. It almost had a nostalgic feel to it that reminded me of shows I watched in my early teens. 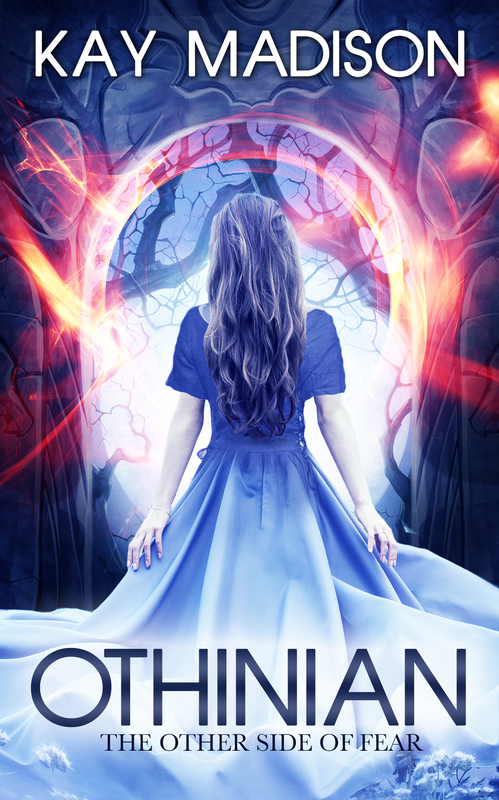 It’s a great story if you enjoy themes such as friendship, loyalty, and good overcoming evil. If you can just sit back and enjoy the little fantasy world it creates and just go with it, Moorim School is an enjoyable ride. Police Unit 38 was a very enjoyable watch. It is a really solid crime drama that is a perfect example of a good show in this genre. The drama was filled with plenty of tension as our team sets up elaborate scams to trick the large scale tax evaders into giving up their money. I actually really enjoyed watching all that went into setting up a scam and then seeing how it would play out. It was really interesting to see the elaborate measures the team would go to in order to pull them off. Ma Dong Suk and Seo In Guk were both completely engaging. The writing was excellent with many layers to the plot. I appreciated that the drama wasn’t episodic and was more serialized. It contains three main story arcs with each arc building upon the previous one while further developing the characters. There are also plenty of plot twists to keep your guessing. Police Unit 38 was a fantastic watch. Moonlight Drawn By Clouds was a wonderful youth historical! We have a fantastic couple that were all kinds of cute at the heart of the drama backed by a solid story. The first half is a lot of fun with a great dynamic between our couple. Then the story thickens as the stakes become higher and everyone’s relationships are put to the test. Park Bo Gum is a complete charmer as the Crown Prince, and he really delivered when things got intense. I did feel like the drama lost a little bit of steam after the big reveal to the Prince that Ra On is a girl. We lost a little bit of that initial charm. But luckily, the couple remained completely adorable, and the story was very solid to carry things through to the end. It was definitely a good ride. W – Two Worlds has a great fantasy story in place with a very capable cast. There are also a lot of twists and turns. Never get to comfortable because you just don’t know what’s going to happen in this crazy world. There really are no “rules” in this drama, so buckle up and get ready for one crazy event after another. There aren’t a lot of answers provided as to how everything works, so be prepared for that. It’s also a long road to happiness for our couple. W – Two Worlds was one fun and wild ride. With an action packed fantasy story, there was never a dull moment. And I really loved Lee Jong Suk and Han Hyo Joo both individually and as a couple. They brought these characters to life and made for one wild, romantic journey that I will certainly remember. Cinderella and the Four Knights was such a fun and easy watch. It’s more than the fluff piece it appears to be on the surface. It’s also a story of people finding happiness by coming to terms with who they are and reconciling past hurts in order to finally become a family. Park So Dam was the absolute perfect female lead, and Jung Il Woo really gave a wonderful performance as we slowly watched his character grow. And Jung Il Woo and Park So Dam ended up being one of the cutest couples around Dramaland! There was just so much cute! I thought they had this wonderful and easy going chemistry between them, and I just couldn’t get enough of it. I was never short on smiles. Cinderella and the Four Knights was tons of fun with a lot of heart. All in all, it was a joy and has left me with a lot of good memories. Overall, Let’s Fight Ghost had a great mix of genres that resulted in a very enjoyable watch. Taecyeon and Kim So Hyun were an adorable little couple with such a sweet relationship. 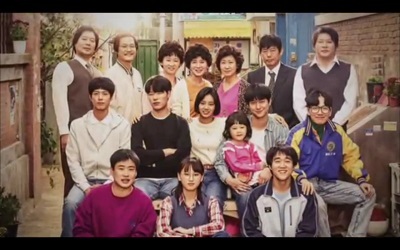 I laughed a lot in this drama, but I also enjoyed the heartfelt stories of the characters. 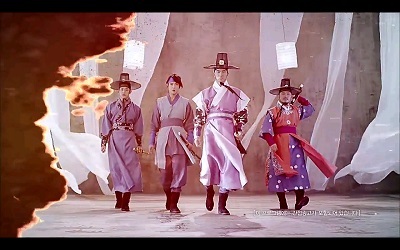 Let’s Fight Ghost was such a fun drama! Lucky Romance was so cute and heartwarming! I loved the crazy opposites attract scenario. Hwang Jung Eum was perfect as our cheerful and superstitious heroine, and Ryu Jun Yeol was great as the sort of dorky and socially awkward male lead. I also really enjoyed our second leads of Lee Soo Hyuk and Lee Chung Ah. I didn’t find our couple particularly swoon-worthy, but they were a lot of fun and made for a nice, easy watch. There are some lovely heartwarming moments throughout with a nice dose of comedy. The drama really looked at how our beliefs can shape our lives and took us on a journey of growth and self-discovery that I found very moving. Descendants of the Sun was the big hit drama for 2016. We have a star couple in Song Joong Ki and Song Hye Kyo. The drama boasted an enormous budget, gorgeous cinematography, and high quality special effects. And Descendants of the Sun burst onto the scene and took the drama world by storm. With amazing ratings and global popularity, the drama lived up to the anticipation and definitely left it’s mark. Descendants of the Sun sure was a fun ride! While it’s not the best drama I’ve ever seen, it really is an awesome drama. There is plenty of action as one disaster after another befalls our heroes. It give lots of opportunities for them to draw closer together while keeping the audience on the edge of their seats. Descendants of the Sun was a nice change of pace due to the setting, army elements, and the wide range of difficulties our characters face. It had plenty of action, melodrama, and a nice dose of humor on the side. I really enjoyed Song Joong Ki and Song Hye Kyo as a couple and getting to experience their trial-filled love story was wonderful. Descendants of the Sun is a drama that will likely be remembered by many for a long time to come. 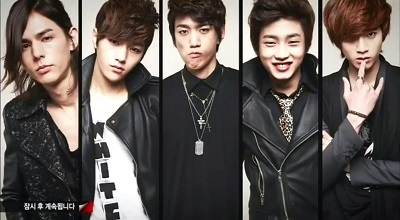 Daebak was such an awesome drama for me! With a stellar cast all around, the acting was superb. It also had gorgeous cinematography that made every scene enjoyable to look at. 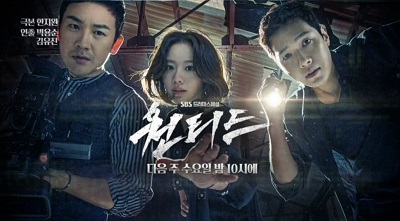 The story was interesting all the way through, and I was hooked on Daebak from episode one. Jang Geun Suk and Yeo Jin Goo were phenomenal. When you put these two on screen together, wow! They each have such a strong presence and intensity in their acting. I really loved their interactions. So many different relationships were explored, but the brotherly relationship between our two leading guys was so fascinating and gripping to watch. 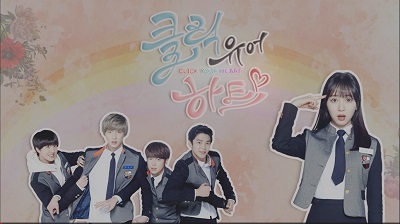 Daebak is a drama I will really miss. Remember: War of the Son was really fantastic. 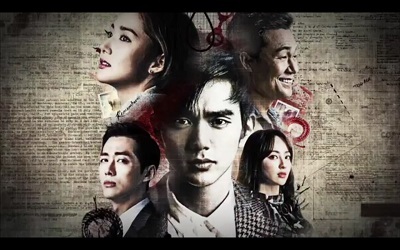 This is one of those times where I was excited about a drama from the moment Yoo Seung Ho and Park Min Young were cast. Then they continued to add a slew of talented actors. And the drama definitely lived up to my excitement! It had a wonderful story acted by a cast of marvelous actors. It felt sleek and was shot beautifully. It was intense, sweet, and heartbreaking. For me, it was everything I had hoped for in a melodrama, and I highly recommend it. I was surprised at just how much I loved Uncontrollably Fond! It turned out to be just my style of melodrama. I enjoyed all of the characters and was genuinely interested in their individual stories and how they related to the bigger picture. 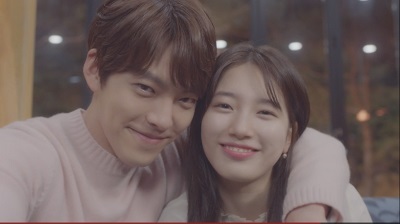 I loved both Kim Woo Bin and Suzy and was completely invested in their romance. The drama is filled with emotion because the characters were so rich and full all the way from the main characters down to the supporting ones. The intricate web of lies that connected everyone made for a tension filled story that left me always wanting me more. What a wonderful drama Madame Antoine was! It took me a few episodes to really get into it, but then it just got better and better all the way to the end. It’s a drama filled with fun, quirky characters and full of so much heartwarming goodness. Add in some comedy as well some deeper reflection into the desires, pain, and emotions of people, and you have one fabulous drama. 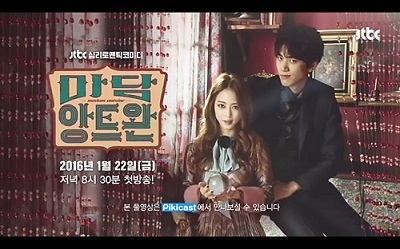 I always love Han Ye Seul, but I developed a new appreciation for the talented Sung Joon. It brought to light so many difficult issues that our characters were dealing with. I loved seeing them all come together as a sort of family at the Madame Antoine Café. On the surface, Madame Antoine is a simple romantic comedy, but for me, it went so much deeper. I’m so glad I got to experience such an amazing drama. Moon Lovers was one intense ride! It has everything you could ask for including action, romance, handsome princes, drama, and so much intensity. The drama was both epic and tragic with extremely high stakes all the way through. It definitely wasn’t perfect and was rough around the edges, but it got so much right and delivered so many feels. Lee Joon Gi is absolutely phenomenal as the 4th prince, Wang So. His performance alone makes the drama a must see. The atmosphere, costumes, sets, music, and story were all completely engaging. Moon Lovers is unique in many ways, and I’m thrilled to have enjoyed such a fantastic story. Well, talk about being surprised that Beautiful Gong Shim was absolutely amazing! I think I underestimated just how much fun this drama would be. I had such a good time, and I laughed so much! I was completely in love with it. It had everything I like in drama with all the crazy scenarios, lovable characters, and then the tension rose as they all had to deal with some difficult truths. I was so invested in everyone and just wanted them to be able to get back to a place of happiness. Drama perfection on so many levels. I sure do love this writer! I’m certainly going to miss all of these wonderful people as well as the drama and smiles they all had to share with me. I loved Entertainer so much! It was such a fun & heartwarming drama that was full of so much goodness. It is absolutely beautiful with every aspect of the story moving me on such a deep level. Dramas like this just don’t come around often enough. It definitely has plenty of cheesy moments, but in the best way possible. Entertainer just made me feel good. I smiled so much and just fell in love with the band and the entire team. They are faced with so many obstacles on the road to pursuing their dreams. They are true underdogs. But they cling to one another and create a family for themselves that acts as a sort of shelter from the world. Entertainer is exactly why I love kdramas, and I’m so thrilled to have watched this little gem. 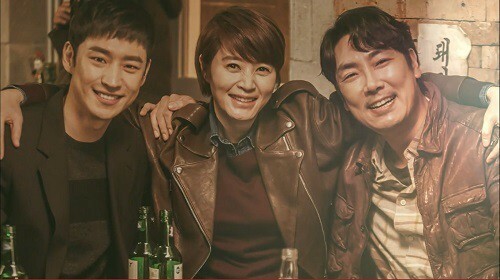 Signal was one of those dramas that blew me away and effortlessly tugged at my heartstrings with it’s brilliant writing and absolutely amazing acting by Lee Je Hoon, Kim Hye Soo, and Jo Jin Woong. A combination of this along with editing and music easily stirred up all kinds of emotions in me. 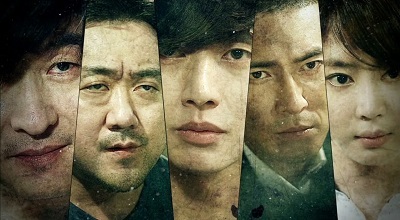 This drama gave me chills and continued to wow me from start to finish. Signal did not disappoint in any way and has certainly set the bar extremely high for crime dramas to come. It’s engaging characters and brilliantly layered story with attention to the smallest details really stands out among others. Signal is a drama that left quite an impact which I know will be felt for a long time to come. Shopping King Louie is everything I love in a drama and so much more. It is the definition of a fantastic romantic comedy. The romance, the humor, the fun, the characters, and the heartfelt story all work together to create perfection in my book. I laughed so much, and every single episode had me grinning from ear to ear and enjoying these funny and lovable characters and the crazy situation they had found themselves. The drama was also overflowing with so many heartwarming moments. Louie and Bok Sil were one of the best drama couples I’ve seen. They warmed my heart and made me smile so many times. All I have are fond memories when thinking about Shopping King Louie. 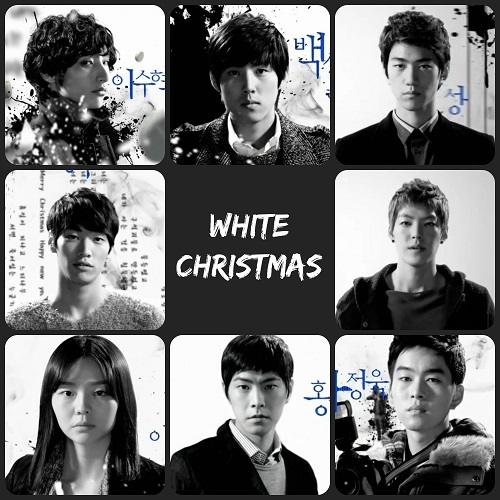 For me, it was kdrama perfection, and I loved it to pieces. So I completed 36 new dramas and 22 other dramas for a grand total of 58 dramas! Yikes! I may have a slight addiction on my hands. But I wouldn’t have it any other way. I really love my kdramas! It’s been a fantastic year, and I’m already excited for the many offerings 2017 has in store! How was 2016 for you? What was your favorite drama of the year? This entry was posted in Articles, Drama Guides and tagged 2016 Korean Drama, Hwang Jung Eum, Jang Geun Suk, Jang Hyuk, Ji Sung, kdrama, Korean Drama, Lee Jong Suk, Lee Joon Gi, Seo In Guk, Song Joong Ki. Bookmark the permalink. I bow down to you! You watch so many shows, and different kinds of shows too. That is some major dedication in itself, let alone the write-ups. Great year end summary. I think I watched about a third of the shows you reviewed; many were dropped or weren’t my thing, plus I watched a few that were not on your list. 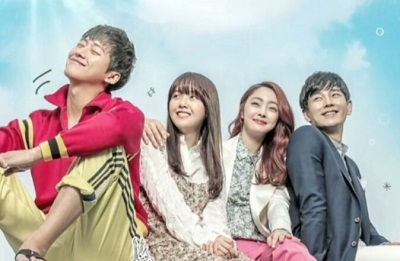 beautiful gong shim – I really like the show but I don’t love it as the serious parts sort of drag the show down but I do like there is a happy ending ; the particular scene that I remember and love was when Gong Shim pushed Ahn Dan Tae to the ground when her father came around on his bike and she pushed him twice! that was so hilarious! signal – great show! the ending, well, I sort of wish the three would meet in the same room and talk more about what happened, but I guess there might be a sequel? Well, kdramas are pretty much my hobby, so I guess that helps get a lot in 🙂 You watched some really good ones too. Haha, yes, that scene in Beautiful Gong Shim was hilarious! That show was so funny. And you’re definitely not the only one who watches older shows! I really am surprised that more people don’t since there are some truly good ones out there. But I know it is hard to watch all of the current ones and the old ones. You’re right it’s pretty hard to please everyone. At least when it comes to kdramas, I feel like there is so much variety that are shows out there to fit everyone’s taste. You just have to find them. I hope you have a great December too! I completely agree, there are too many dramas to see. We viewers choose the ones to watch and read & hear about the other ones we didn’t watch. Wow, I really love your drama review. You watch a lot of kdramas like me. I have watched 95% of the dramas and they are all really awesome. Really appreciate the order in which you ranked the dramas. And I watched quite a few interesting kdramas not on the list. It was definitely a good year for me. Keep up the good work.